In every home, the living room is the one space that is used rather frequently. The family tends to lounge, work and do school projects in it. Sometimes, this room even doubles up as an entertainment space as well. With such multiple uses, when designing your living room, it should accommodate all the activities that are carried out on a regular basis. Besides the theme of the living room, your sofa is one of the largest elements in it and designing or choosing one to suit your theme will help in creating the perfect ambiance. Living rooms can be of several different types. Interior designers have a range of terms to classify styles such as modern, eclectic, traditional, Victorian, contemporary and bohemian. 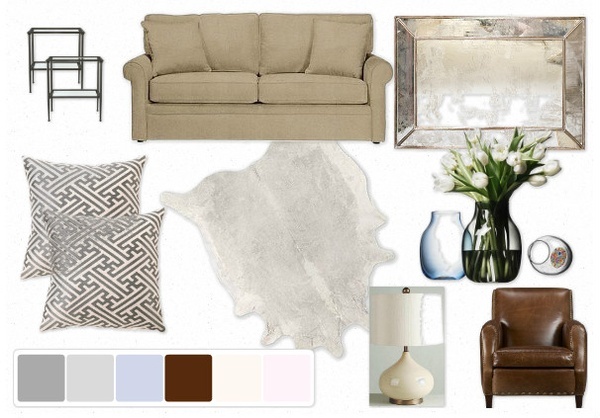 When designing your living room space and planning for your sofa, you need to keep a few points in mind. The first is that there should be a flow from one room to another. If your foyer leads to your living room, then continuity in terms of wall colours or flooring material can help set the base. Similarly if one steps out from the living room to another space, it should not come across as a whole new world, but rather a fresh interpretation to a single theme. Eclectic: If you are a family that loves to socialize, then you can tweak the eclectic theme to suit you. Try to put earthy colours on the walls and mix in some metal tones as well. Add in some silver strie to the paint on the wall to give the space additional texture. When you are choosing your sofas for this theme, stick with high backed ones so that you create a close-knitted setting that will facilitate good conversation. Another version of the eclectic theme would be to add in low cushioned seating interspersed with antique chairs. This ensures that you have comfortable seating for all age groups. Romantic: Many couples who are doing up their spaces for the first time would like the romantic setting. You can choose Tudor styled furniture or even a Victorian set. Light, neutral shades on the walls with heavy drapery, the right size chandelier, an intricately carved love seat and a few single sofas with deep set soft cushioning will create the ambiance you are looking for. Throw in sofa backs of silk taffeta and you have the perfect setting. Transitional settings: These are designs that are meant for people who prefer to have the best of both worlds. In this kind of designing, older styles are blended in with modern furnishing allowing a transition of sorts between the old and the new. 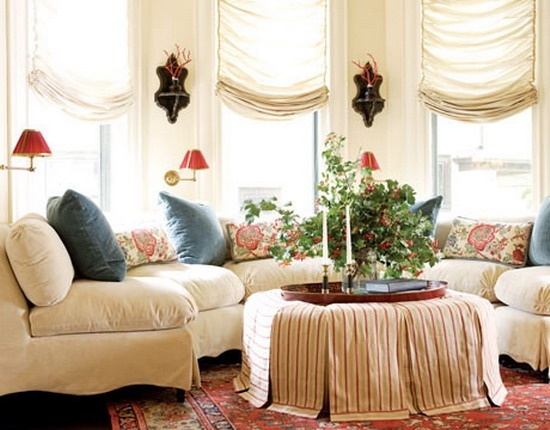 Your sofas can be covered in plaid or classic floral designs. You can add in more solid colors that are soft on the eyes rather than being bright. Materials for your sofas can be leather, cotton or even corduroy. In your choice of wood, go with natural shades of wood, even if they are a mix of dark and light. Contemporary settings: This is a term that for the layman can be a bit difficult to understand. Contemporary living room and sofa settings are based on the trends that are popular at the time you are designing. One of the best ways of coming up with ideas for such settings is to visit showrooms at your favorite interior designing companies; they will have on display the latest in designs. You can mix and match themes from such showrooms to create something unique of your own. Modern theme: The basic idea here is to convert your space into an artistic one with minimal furniture that exudes an aura of being high end. Based on the scale of your room, you will need to choose sofa pieces that function as the single largest piece of furniture in the room. You will have to have a very clear colour scheme and stick to a maximum of three colours on your palette. Using larger prints will give the look of a modern touch. In most cases, your sofa will be the largest element in your room. Therefore, you want to have the right amount of space to accommodate it. In larger spaces, it is left entirely to you as to how much space should go to the sofa. Consider the other elements you want to add in and allot space to everything. In the end, you should also have maneuvering space as well. This will give you a good idea about the size sofa you should get, personally I have Alston sofa shown below in my living room area. Keep in mind that the sofa has to be brought into your home. If you are on a high floor then your sofa will have to fit through elevator doors and your home’s doors and walkways so size is an important consideration here. Also, decide which direction you want your sofa to face and think of all other elements in relation to this. Once you have settled on a particular design for your sofa, changing its alignment is not going to help much. The shape of your sofa will also determine the flow of your living room space. With all these factors considered, you will be able to have a living room that has the sofa as its centre attraction and which will leave all your guests in awe at your designing capabilities.